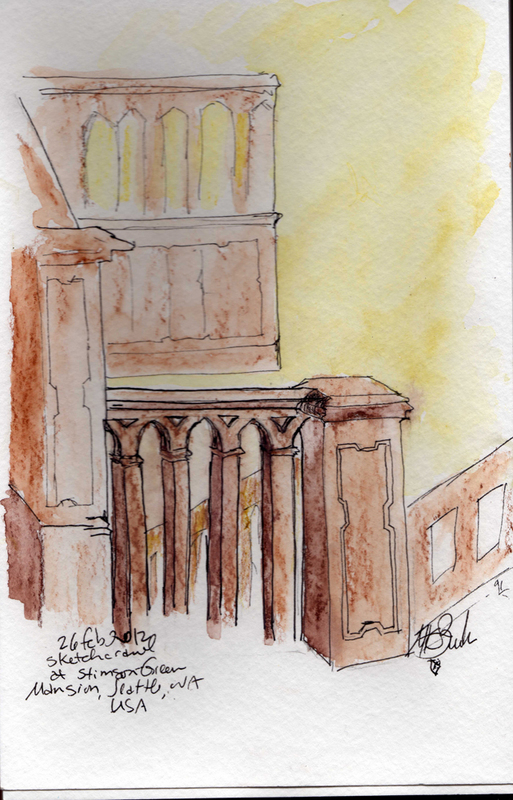 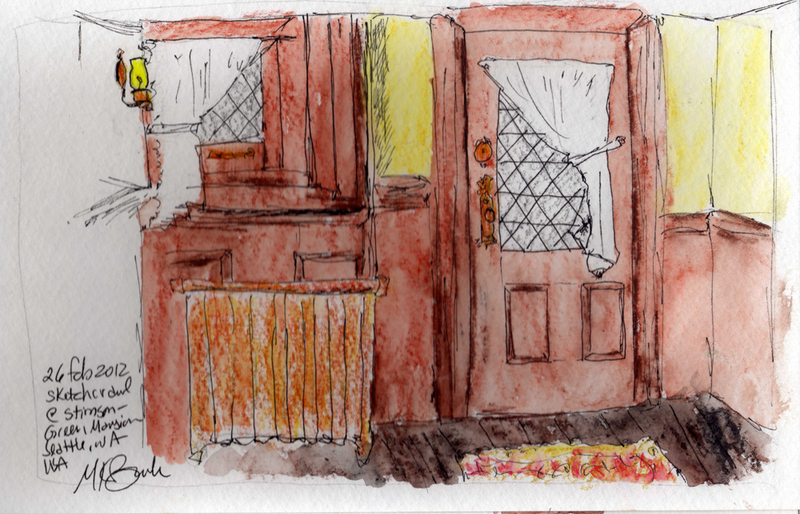 These are sketches of the Stimson Green Mansion done by Kate Buike who joined us for the first time on Sunday. Nice details. The sketches show the charm of the mansion.